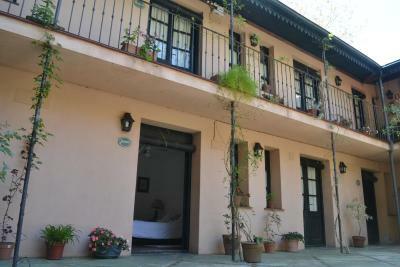 Lock in a great price for Posada de la flor – rated 9.1 by recent guests! 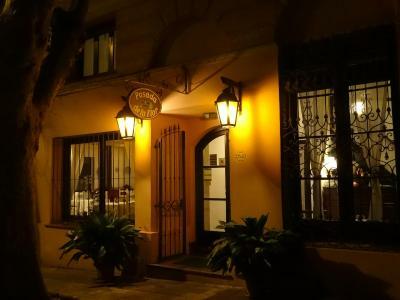 This a beautiful and intimate posada right in the middle of the historical center of Colonia, on a little quiet side street leading down to the river. The staff are so helpful and are always there when you need them. The rooms overlook a delightful courtyard with a fountain. 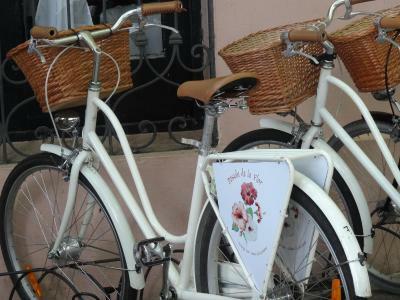 At any time you can relax on the rooftop terrace overlooking the river or borrow the bikes to pedal around the old town. The rooms are spotlessly clean and the beds are comfortable. 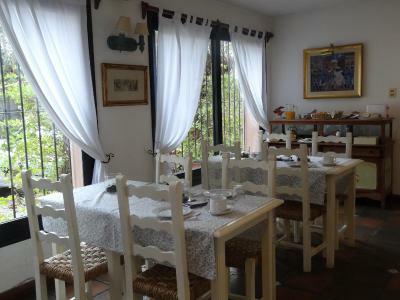 The breakfasts are very well catered for but of course with a lot of sweet pastries etc. However there is cereal and fresh fruit available. Afternoon tea is also available every afternoon, which was a pleasant surprise. It was such a relaxing place we only wish we could have stayed longer. Really quaint. Excellent location. Very comfortable bed. Super helpful Margarita at reception booked us bus seats to Montevideo and even let us take a few pastries from Breakfast for the journey. Free bikes. Lovely comfortable bed and pillows. Great location. Charming posada steps from the water. 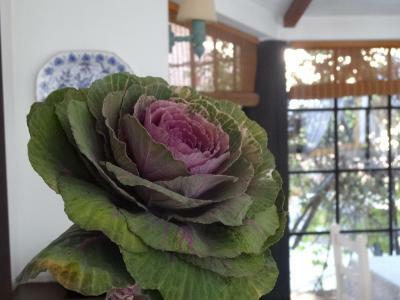 Friendly and welcoming staff, bright little dining room with afternoon tea and nice breakfast included. Very clean, beautiful plantings. Close to everything, well lit blocks and safe . Beautifully decorated and charming atmosphere within the staff. Lovely terrace and patio. Tea time and breakfast options a must. 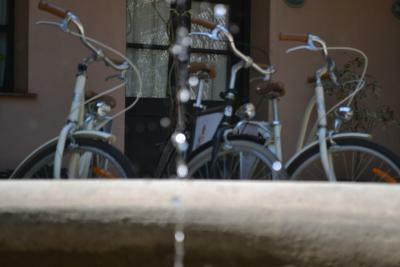 i ycles are provided which make it fantastic to go and visit many more places beyond yhe historic district. Great staff, comfy, pleasant and clean room, nice atmosphere, excellent breakfast and afternoon snack. Beautiful hotel run by very friendly women. Room was charming, location on the river was very peaceful. The hotel is very quaint, the rooms were clean, the staff were friendly, the free bike rental was a great treat, and they provided afternoon tea. Loved it! Beautiful rooftop terrace with sea view. Catered for gluten free breakfast. Staff friendly and helpful. Good value for location. 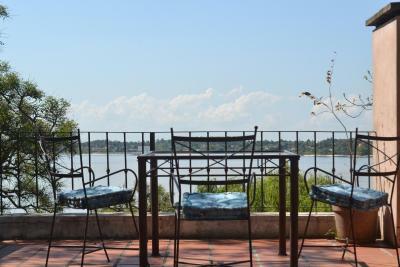 One of our best sellers in Colonia del Sacramento! 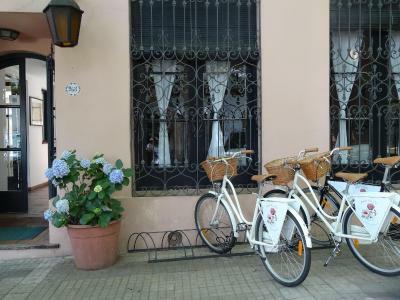 Located in Colonia del Sacramento, Posada de la flor at the start of the historical district, offers free bikes, terrace and free WiFi. 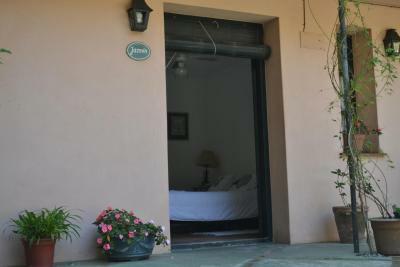 All rooms located around its internal patio, feature a flat-screen TV with cable channels and a private bathroom. The property offers a 24-hour front desk. Santa Teresa is 8.1 mi from Posada de la flor. 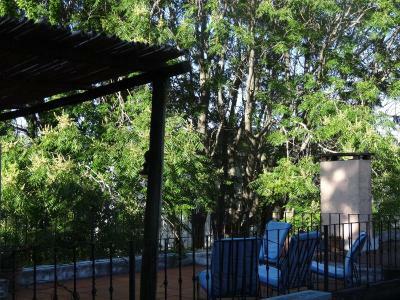 When would you like to stay at Posada de la flor? This quadruple room has air conditioning and cable TV. 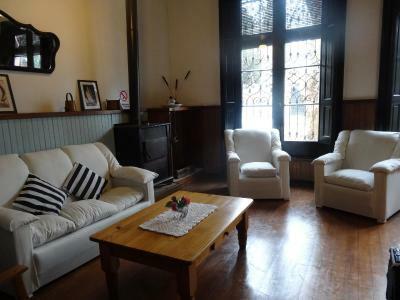 It can accommodate up to 6 guests, adding 2 extra beds for an additional cost. House Rules Posada de la flor takes special requests – add in the next step! Posada de la flor accepts these cards and reserves the right to temporarily hold an amount prior to arrival. 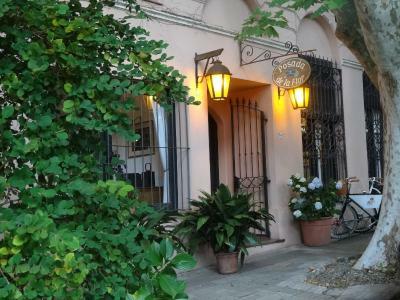 Awesome breakfast, beautiful place with cozy terrace, available bikes to cycle around colonia and good location in a calm street, we loved our stay! 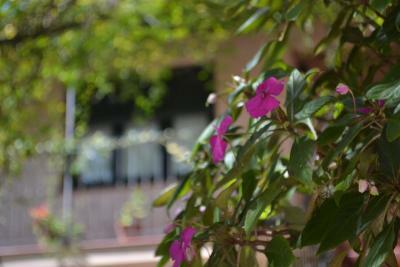 Lovely place. Very comfy and cosy. Fantastic breakfast. Only there one night - wish we were staying there longer!! The coffee was really bad. 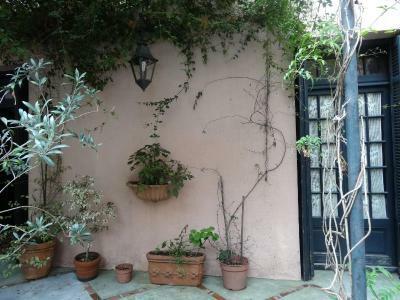 Beautiful property in the old town. Bedrooms beautifully decorated and fitted. Breakfast was a delicious assortment of breads, cakes, fruits, ham and cheese. Staff very helpful and very friendly. A little more variety in breakfast foods. Cute facility in good location in old part of city. On quiet street but easy walk everywhere in old city. 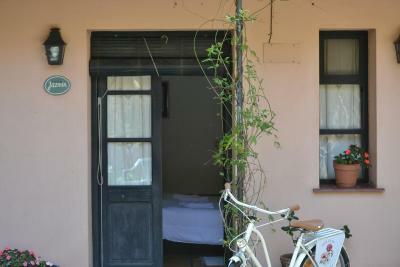 Rooms good size with comfortable beds and air-conditioning. Showers hot (each room has own water heater!). Basic level comforts, nothing fancy. Nice rooftop terrace. Nice touch of offering pastries and tea/coffee in evening. Breakfast fresh but fairly basic. Staff quite helpful and pleasant. Lovely place, delicious food, afternoon coffee ... perfect location!!!! 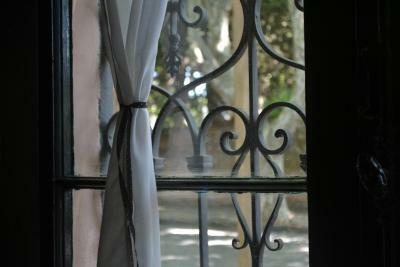 Our room was bright and looked out towards the street and river but inner courtyard ones may be dark so you should ask. 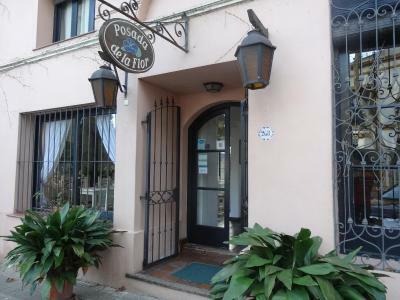 Friendly posada in an excellent location in the old town. 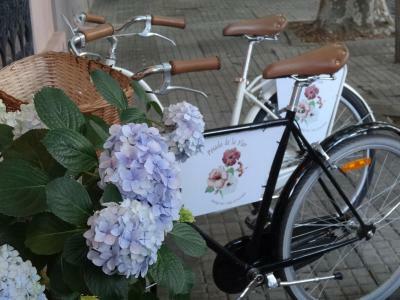 Much appreciated the free loan bikes which we used to cycle out along the Rambla de las Americas which makes a great trip . After vacating our room we were still able to use other facilities until picking up our hire car late in the day. The breakfast was very good and the location excellent,it was very nice to give us an afternoon tea and cake for free, the staff very nice and always ready to help.